The login is completely unresponsive. After inputting the email and password, tapping the submit button has no effect whatsoever. 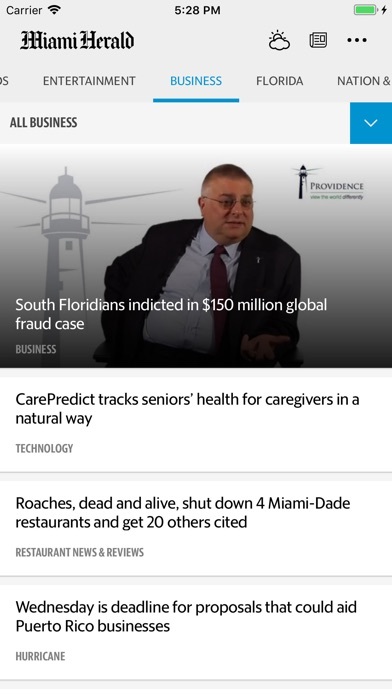 Impossible to find front page articles anywhere in app version. I hate the video ads that launch automatically and refuse to use the app for now. I am a supporter of local news and have a paid subscription. Will stick with the website until the app becomes less obnoxious. 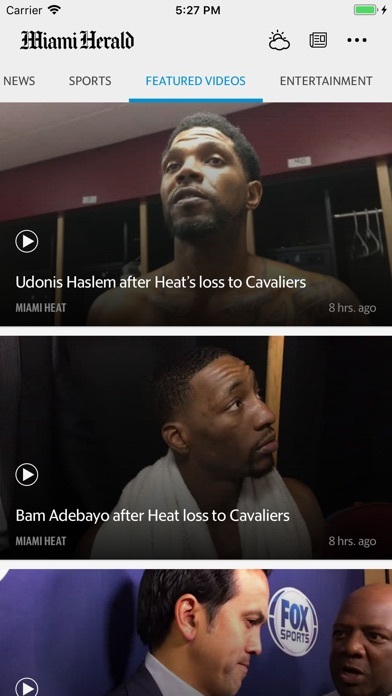 Why am I suddenly getting all notifications from the Herald app 4 times? 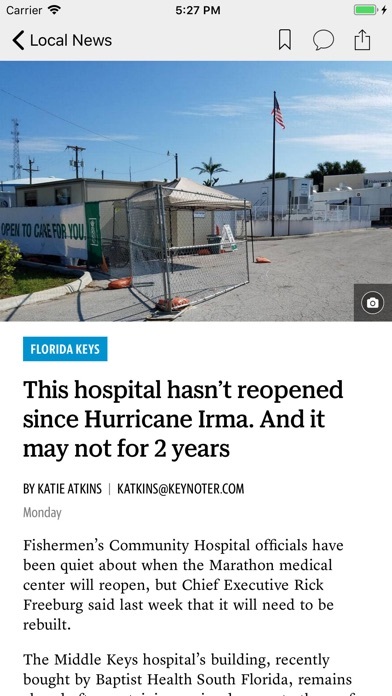 “Local news” is rarely about South Florida. 4 hours ago a major issue related to the election was decided. Not covered here. Too many sports stories are listed in latest news at the expense of real news. When hurricanes are in the news, outdated stories stay up creating confusion. An app should keep me current. This does not. So-so as far as being current. 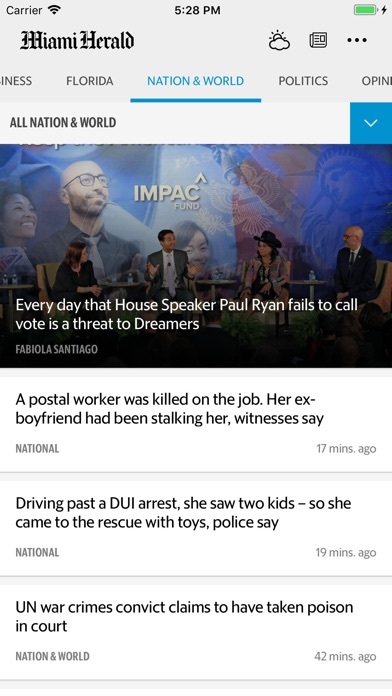 Articles are repeated often across the few news categories. Limited customization as far as what article topics you are interested in. But the thing that makes it seem more like a tabloid rather than a serious news source is it’s proliferation of “click-bait” style headlines, making it feel cheap and not to be taken seriously. Your grade school children might like that style though for their school assignments. 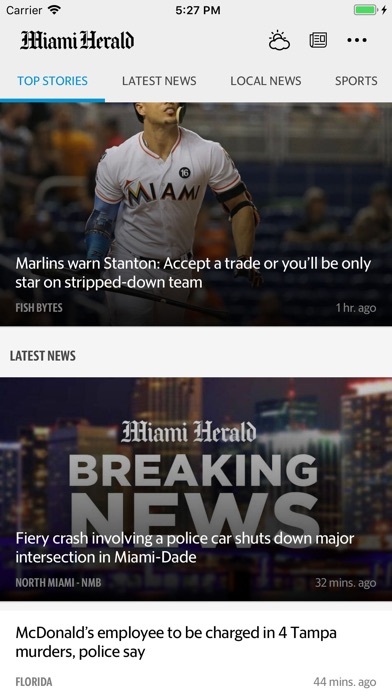 No ability to customize the news categories you want vs. what they want you to see. No search capabilities. All news are either very low in significance or click bait style opinionated lies. Very far from what the news paper used to be if you ever read the “real deal”. App is good as far as it goes but lack of search function is a major shortcoming.